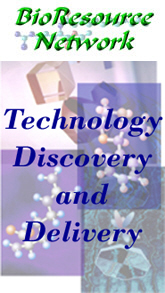 BioResource Network was established to build a team with unique backgrounds to solve the challenges of delivering bioactive materials to various surfaces with improved stability, substantivity, and slow release characteristics. BioResource Network introduces the RAVE concept! It uses all green and natural materials that can be formulated into a spray! The RAVE concept was designed to help dry the damp spots on your fabric quickly while providing lasting odor protection. It can also be used on other surfaces and on the body! No sticky film or irritating chemicals. The RAVE concept is designed to kill germs quickly as well as provide lasting deodorizing benefits using food grade materials. The ingredients also have been documented in the literature as having antiviral characteristics. Our grandchildren use this on their flip-flops! Our goal is to help our customers formulate this patent pending concept into their products. BioResource Network has >200 years of consumer products’ experience and will help you solve your “Holy Grail” projects. You supply the challenge - we will supply the innovation.